It feels great to be the answer to Gods problem, because he is great and mighty and he chose me, he chose women. Though yes I have felt unlucky to be a woman at times. I am young and I am married and I have 3 wonderful kids. I have been saved only a year and sometimes I feel I have way too many responsibilities for one person to handle. 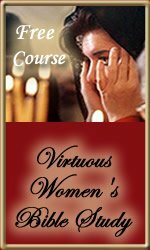 I hope this course helps me and I pray I grow through this and mature too so I can see the woman God wants for me to be. Want to discover why God created women? See The Hem's free women's Bible lesson, The Creation of Woman...Why Did God Bother? Assignment and creation of the knowledge is very important and need of the times. It is enduring uk essay writing service and long lasting for the betterment and efficiency. It is very valuable and historical also in all such connotations and times. Thank you, new Christian! Wonderful insight the Holy Spirit gave you. Thank you for sharing it. II Peter 1:3-12 will help you grow and be confident in Him. I pray your life with Him will be a great lighthouse to others, "Let your light so shine before men ,that they may see your good works and glorify your Father which is in heaven." Matthew 5:16. You go for the crown of life, girl!